Shopping for a new place to live is exciting and draining at the same time. You look at so many different properties they all start to run together. Your agent is on your side – but not completely. Your agent’s job is to help you in buying a home with the caveat that the more expensive the purchase the larger their commission will be. This can mean you look at a few homes that are just above your price range to show you what a few thousand dollars will get you. This seems harmless at first, but then you start to see what extra perks or features you can get from that extra money. Before you know it those other homes you were looking at within your price range don’t seem as nice and you start to justify spending more on a home. This is a big risk when purchasing a home that can end up costing you literally tens of thousands of dollars. As a society we are taught to spend, spend, spend. Our eyes are always bigger than our stomachs. Even if we do a sensible thing like figuring out how much we can really afford to pay for a home we can easily be lead astray when shopping. It’s only a few extra dollars every month on the mortgage payment, right? Wouldn’t you spend $20 more per month to get a two car garage? $100 more per month to get granite? We get enticed by these features and the seemingly low monthly cost. But we’re missing the big picture. There are three big risks to going above budget during your home search. The biggest risk is that you may not get approved for the loan. When you get pre-qualified for a loan the loan officer will give you an estimate of how much house you can afford to buy. If you come back with a higher amount needed the bank may simply turn you away. However, even if you do get approved there are some significant financial risks. That extra $20 or $100 per month may seem harmless, but in reality it results in you paying thousands of dollars more in interest. 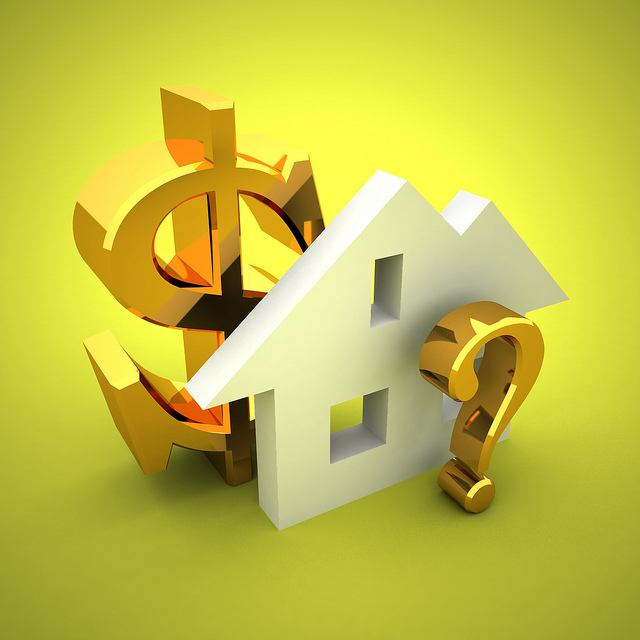 You’re not just tacking on $10,000 or $20,000 to the price of the home. You’re also having to borrow and pay interest on an extra $10,000 or $20,000 (minus 20% of whatever you add in down payment) which over the life of a 15 or 30 year mortgage ends up being a lot of money. For example, let’s say you buy a $200,000 home with 20% down. Your mortgage is $160,000 at 3.5% over 30 years. Over the life of that loan your total interest charges would come to $98,650. If you instead add $10,000 to the value of the home to $210,000, your mortgage goes to $168,000 and you would have to bring $42,000 as a down payment ($2,000 more than originally planned). Your interest charges jump by $4,932 to $103,582. Not only will you pay back $10,000 more in principal, you’ll also pay almost 50% of that amount back in interest as well. The difference in the two monthly payments is only $36 per month. But the impact over 30 years is huge. Let’s look at this another way. If instead of buying the more expensive home with the $45 larger monthly payment, what if you bought the original home and used the extra $36 to pay down the balance of the mortgage each month? Using the numbers from the above scenario you would drop total interest payments from $98,650 to $89,659. That’s a savings of $8,991. You also shave off 2 years and 5 months of payments from your mortgage so you pay off the loan faster. It is extremely difficult to avoid sneaking into a higher price bracket when looking at homes. Everyone wants to live in a fabulous home, and the higher the price the more perks and upgrades you will find inside the house. But going above your budget can cost you thousands of dollars so try to find an agent that will help you stick to your original price target.